The 16th Annual Cherry Garcia Run is a RunFit production. This is an Albuquerque favorite and a must for any seasoned athlete or weekend warrior ... or for those who just want to run or walk and enjoy ice cream and more at the finish. All registered participants will receive a quality cotton t-shirt. A portion of the event proceeds benefits RunFit -- After School Running Program for Kids throughout Albuquerque and New Mexico. NOTE: Please arrive to the start 15 minutes prior to the above scheduled start times. If you are not able to pick up your packets in person at packet pickup, you must make arrangements for a representative to pick up your packet. Any out of town participants may pick up their packet on race day at the registration area between 7:00 and 7:30 a.m. Note: Please enter the parking lot via Candelaria Blvd. only. Parking is available on the south side of campus (front of school) and north side of campus. No parking on Valley Pool Rd. 10K Participants: Please park at Griegos Elementary School on the north side of campus. Note: Please arrive between 6:30 a.m. and no later than 7:30 a.m. Valley Pool road will be closed to traffic after 7:30 a.m. Note: All events will start on or near the Valley H.S. Track. 10K will start immediately east of the track in the school parking lot. 5K and 10K participants must be at the start no later than 15 minutes prior to the scheduled start time. The Finish is located at the Griegos Elementary School Field just north of Valley Pool Road. Race day registration and post race activities will be held near the finish. Reminder: This race is a Gun Start with a Timing Chip finish. The "official time" will start when the gun/horn goes off. Out of town participants (only) may pick up their packet on race day at the Griegos Elementary School Field, just north of Valley Pool Rd. 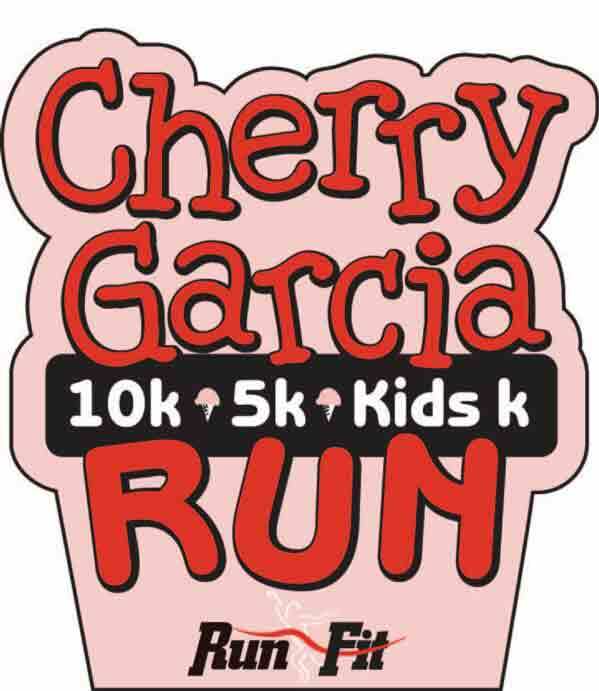 All participants MUST wear a timing chip/bib in order to be factored into the results and be eligible for Overall and Age Group Awards – as well as to be eligible for the Chunky Challenge (Participants must run the Cherry Garcia and Chunky Monkey Run – July 14, 2019). Event bibs must be worn on the front of the person and must be visible at all times during the event. Bathrooms are located near start/finish—next to baseball fields. Please allow plenty of time in order to get to the start. If you are unable to finish the race for any reason, please notify a race official of your bib number so that the medical personnel are aware. Also, please remember to hydrate throughout the day as well as at the water stations along the course: 5K: 2 Water Stops 10K: 3 Water Stops. The overall and age group division award winners will be announced at the Awards Ceremony on race day immediately following the Kids K.
Age group prizes will be given to the top three finishers in the following categories for men and women: 19 and Under, 20-24 25-29, 30-34, 35-39, 40-44, 45-49, 50-55, 55-59, 60-64, 65-69, 70-74, 75-79, 80+. 60-64, 65-69, 70-74, 75-79, 80+. All registered participants (12 and under) are eligible to participate in the Kids K. The start of the Kids K will begin at 9:15 A.M. All Kids K participants will start on the Valley High School Track. We ask that all participants and parents/sponsors arrive on time for the 9:15 a.m. start. This is a non-timed event. All participants will receive a special recognition award at the finish. This race is a Gun Start with a Timing Chip finish. The "official time" will start when the gun goes off. All participants who want to be timed as well as being factored into the results MUST wear a timing chip/bib (see “RESULTS” information below). Please note: Should severe weather that creates dangerous conditions for runners cause cancellation of the race there will be no refunds. these items do not count as “second timing devices" and will not be recognized by the event as official times or distances. Do you have a Lost & Found in case I lose something at the Event or on the race course? Yes. We will have a Lost & Found for items that were lost and found on race day. If you are missing a personal item, please call: 505.217.4774. For everyone’s safety baby carriers, baby backpacks, inline skates, motorized scooters, bicycles, skateboards, and animals of any kind are prohibited from the course. Strollers and baby joggers are permitted. Strollers and baby joggers must start at the back of the pack and your child must be secured in the stroller at all times. Please note: The finish is on grass and may be difficult to maneuver most strollers. extreme heat is predicted, extra water will be provided to the athletes, both prior to, during and after the event. The medical team will be alerted that athletes may require additional medical attention during and after the event due to the high temperatures. Timing of the event will be done using the Race|Results Timing System. Participants must wear a Timing Chip/Bib in order to receive final results. Event bib/chip must be worn in the front of the person and must be visible at all times. Efforts will be made to post results at the finish within 15 minutes of each participant finishing the race. Results will be posted near the finish immediately during and after the event as well as online at www.irunfit.org. Participants who would like their official time posted and be included in the results MUST wear a timing chip/bib. No timing chips with bibs will be given to Kids K participants since this is a non-timed event. Please note: Awards will be presented immediately after each event. All awards must be picked up on the day of the event. If you are unable to pick-up your award at the finish, you may pick it up at Fleet Feet beginning on Wednesday, June 26. No awards will be mailed. Decide where your family and friends can cheer you on when you most need the support. Water and Gatorade will also be provided for the 10K and 5K events: see course link(s) below. The Cherry Garcia Run is fortunate to have some of the friendliest and hardest-working volunteers around. Volunteers help us on race morning to ensure you feel welcomed, are fully informed; have a safe, successful and positive running experience, and more! When you have a chance, give hearty, fun- loving thanks! We would like to thank the following sponsors for their support: Fleet Feet Sports, Veterinary Dentistry and Oral Surgery of NM, LLC.. We would also like to recognize Valley High School and Griegos Elementary School for their support of RunFit.